We don't stock many protein products because the heavy weight makes delivery charges high. But we do stock a few because they are outstandingly good. 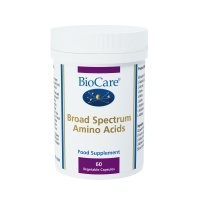 BioCare Broad Spectrum Amino Acids are the building blocks of protein. Broad Spectrum Amino Acids contains seven of the essential amino acids. 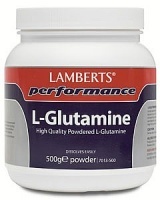 Lamberts state this is one of the highest quality L-glutamine products on the market. A health supplement to take before and after exercise to help aid recovery. 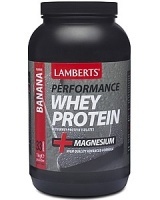 Lamberts Whey Protein is one of the highest quality whey products available and is manufactured in the UK by one of the world's largest producers of sports products.